You’re likely to see more rain in the spring and summer seasons, and after winter weather like snow and ice, you want to make sure the windshield wipers on your car are in the best condition possible. Road Runner Auto Care in Apple Valley can examine the wipers to see if there is any rust on them and to ensure that they move properly across the windshield. In order for the wipers to work like they should, the windshield itself should be kept free of debris that might break the blades or prevent the wipers from moving across the glass. There are a few signs that can indicate that it’s time to change your wipers. 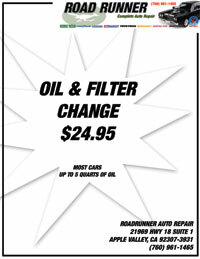 Road Runner Auto Care in Apple Valley can look at the wipers to see if there are any cracks on them or if there are any issues with the rubber. 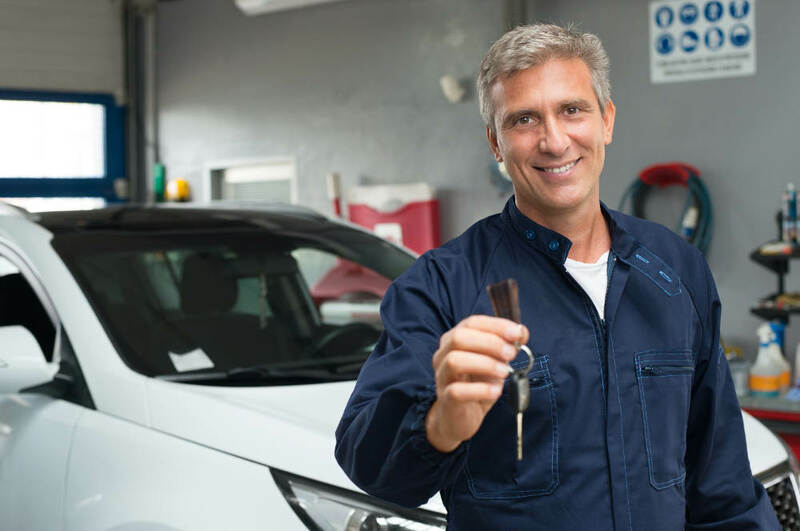 The technicians at Road Runner Auto Care can quickly replace the blades, using the best type for your vehicle and for the season so that the wipers clear everything away from the windshield like they should. One of the signs that you need new windshield wipers is streaking on the glass. This is caused when the rubber cracks, preventing the wipers from making smooth contact with the surface of the glass. The warm weather in the summer can also dry out the wiper blades, causing them to crack over time. Foreign objects that get on the wipers, such as insects or tree sap, can also cause streaking. If the wiper blades aren’t straight, then they can begin to chatter as they move over the windshield. Road Runner Auto Care can examine the blades to see if they can be straightened, but they usually need to be replaced so that they are as straight as they can be when they are working.